Egg Shape Sorter by Small World Toys is a shape and color matching toy with an EGGcellent theme! Anyone in the mood for the learning game and scrambled eggs? 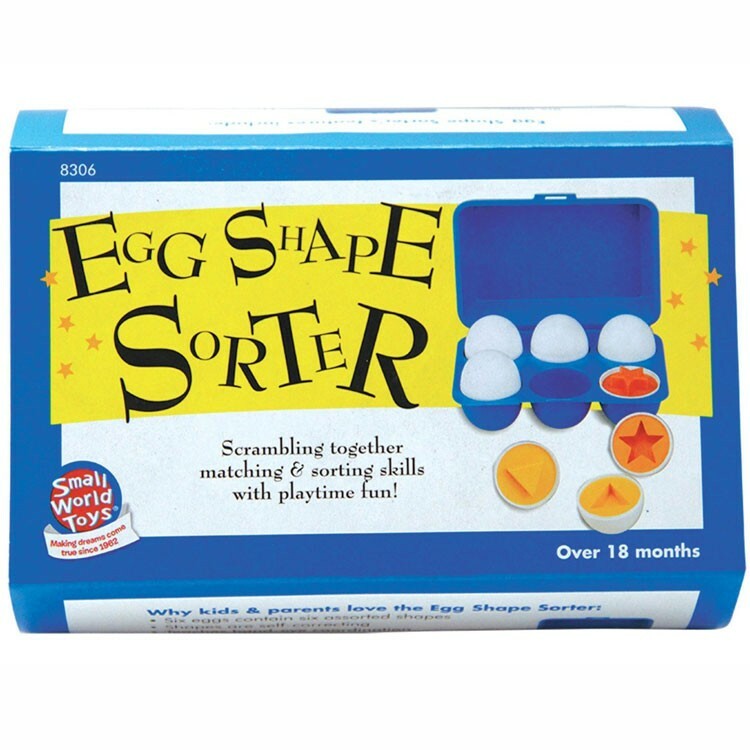 Egg Shape Sorter by Small World Toys is a matching toy with an EGGcellent theme! These 6 toy eggs come apart to split into two pieces. To put the eggs back together, you have to find two halves that have matching shapes inside them! Find the ones that match, attach them, and your egg is in one piece again! 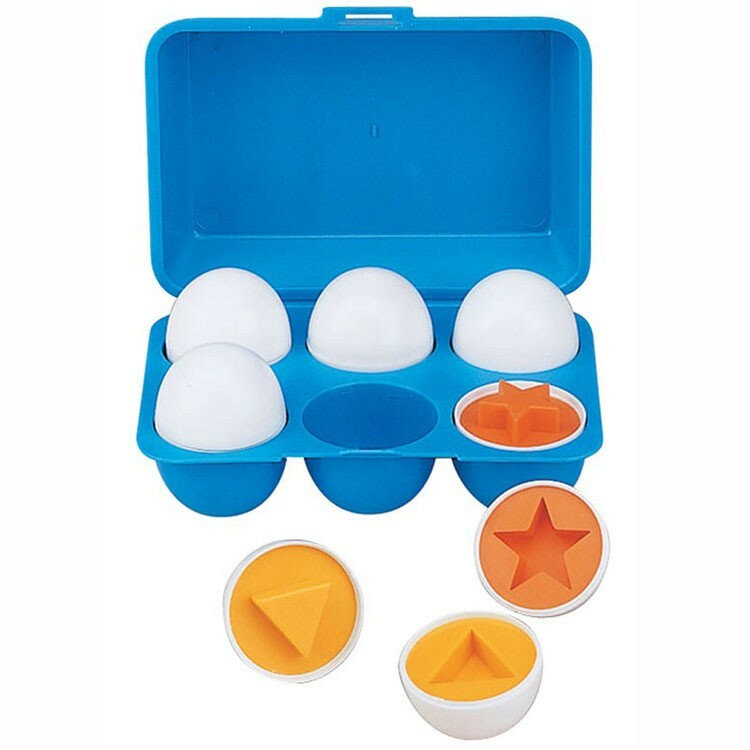 Egg Shape Sorter has a carry-along carton so your toddler can play with the shape learning toy anywhere. Learn about basic shapes: triangles, squares and stars with the self-correcting matching game. Good quality and unbeatable value! 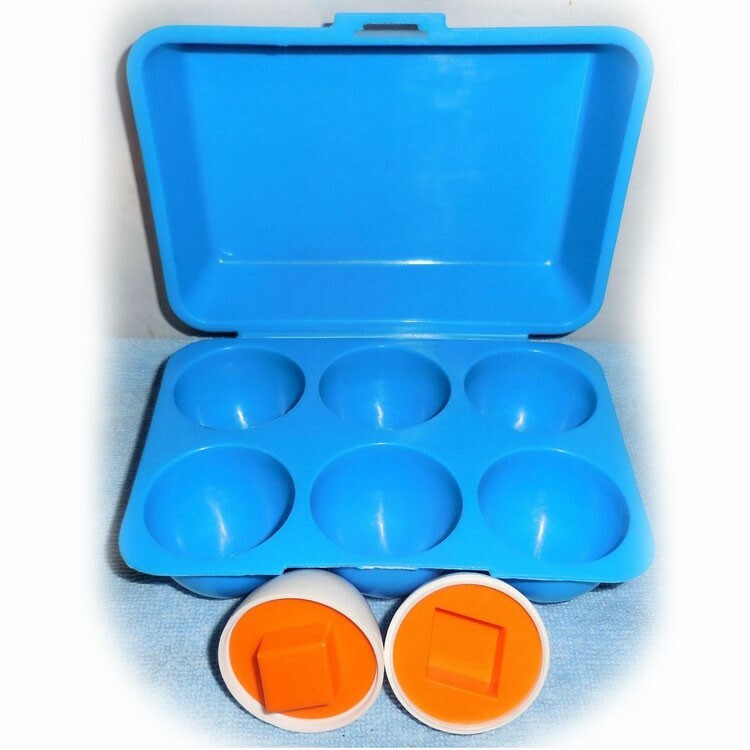 From Educational Toys Planet, Egg Shape Sorter will leave your kids EGGstatic! 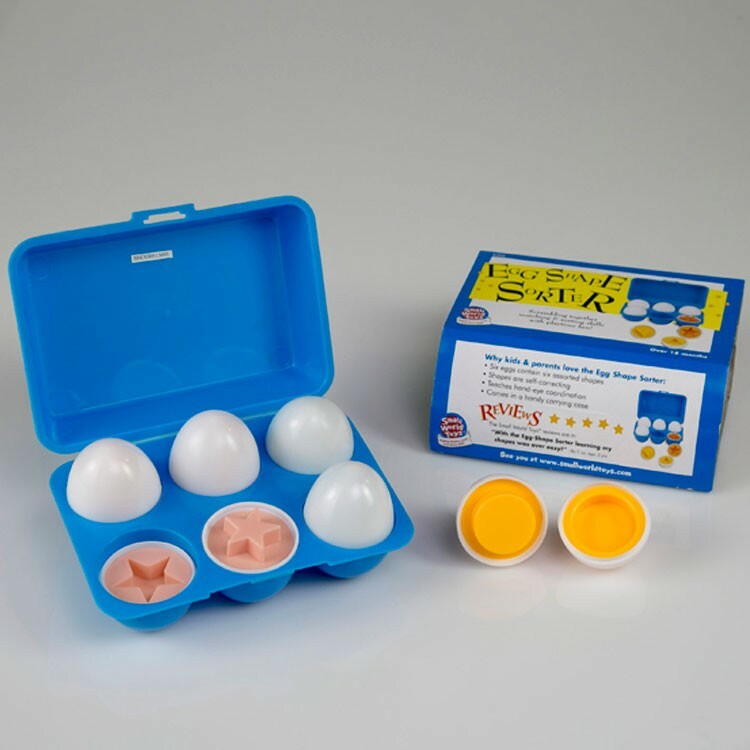 Dimensions of package 11" x 4" x 4"
Write your own review of Egg Shape Sorter. Rating: 2 by Karen A Aaron, NY the shapes are not strongly secured in the eggs and keep popping out. Rating: 5 by Joanne, NY My daughter's most favorite Easter present! Thank you!